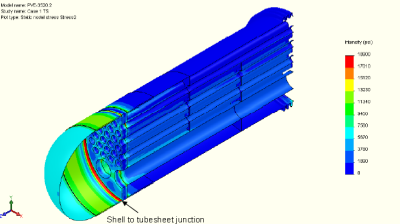 Why use FEA on Heat Exchangers? ASME UHX VIII-1 and 2 rules cover the design of tubesheets, tubes and the shell next to the tubesheet. The rules cover multiple failure modes and provide considerable insight into the safety of the complete exchanger allowing design optimization. But the UHX rules are limited to designs with uniform hole patterns that cover the complete tubesheet. What if the hole pattern is not uniform, or in the case of this sample, the holes are not a uniform size? Burst testing is an economical way to validate inexpensive products. 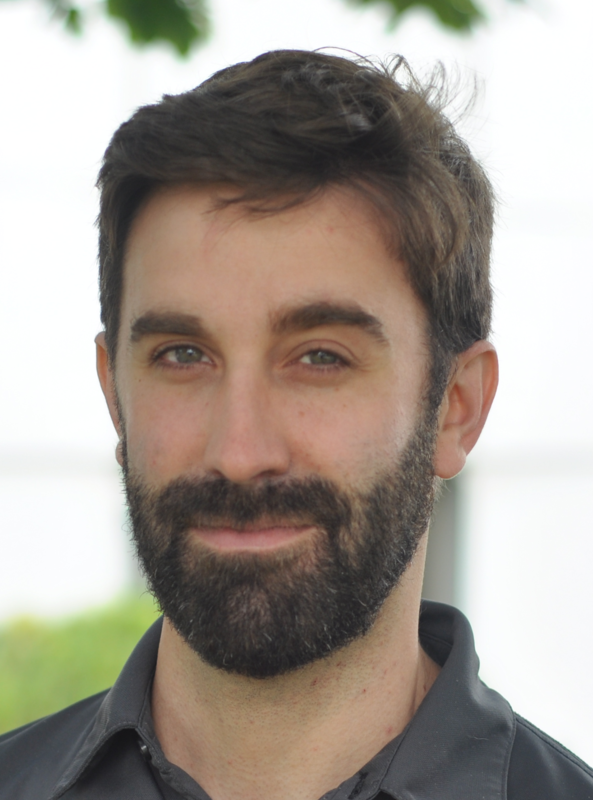 However burst testing provides more conservative pressure rating than code calculations and it may be unreasonable to use to validate costly or large heat exchangers. Burst testing provides a failure mechanism and a pressure rating but does not provide deep insight into the safety of the whole object in areas that did not fail. 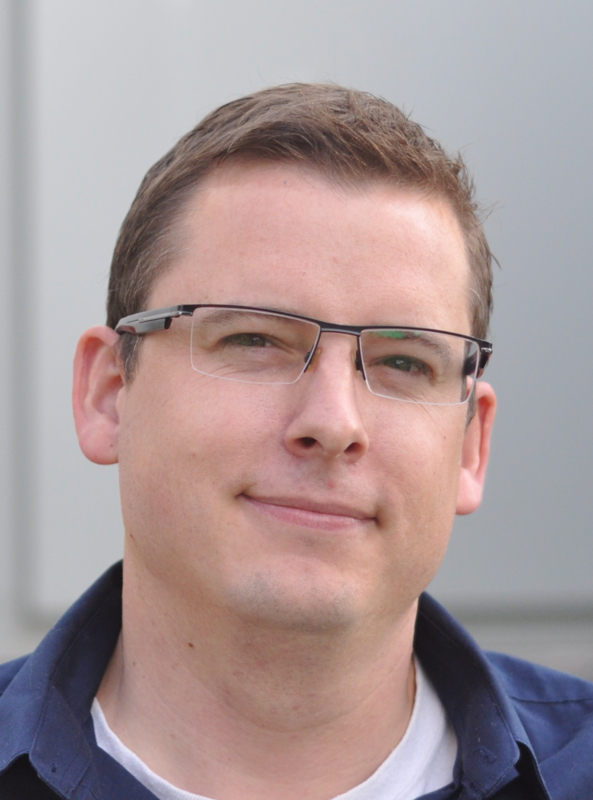 Burst testing highlights the weakest area, it does not help optimize the whole design. Finite Element Analysis (FEA) can be used to obtain the insight into safety as provided by the UHX code rules but for geometries not calculable by the UHX rules. The deflection plots provide an in depth understanding of how the exchanger deforms in response to the thermal and pressure loads. The stress plots show how well the exchanger can handle the loads and deflections; information is provided that allows design optimization. As an added bonus, the FEA provides stress levels for permissible cycle life evaluation. The ASME code rules must be used if they are applicable. In this sample, the tubesheet has multiple tube sizes eliminating the possibility of using UHX. 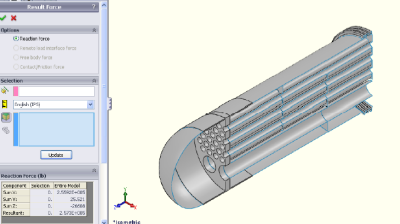 Standard code rules would still apply to all other areas of the exchanger – The scope of the FEA analysis would be tubesheet design, tubesheet to shell junction and the tube load calculations. Stress limits for the analysis are obtained from ASME VIII-1 the same as for the rest of the exchanger. The rules of ASME VIII-2 are used to determine how these limits are applied when interpreting the stress results. the tube compression or tension loading caused by tubesheet displacement and thermal expansion. 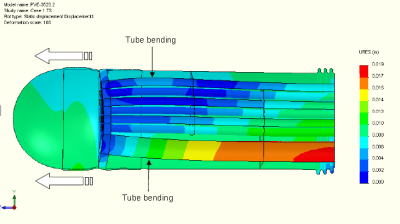 For a finite element analysis to successfully replace the UHX rules for a fixed tubesheet exchanger the three stresses need to be studied for the seven load cases. The report available at the end of this article provides an in depth analysis of thermal and pressure stresses on an exchanger. Some illustrations from the report are shown here. The exchanger is symmetrical at both ends allowing only half to be modelled and studied. The tubesheet and part of the shell are solid modelled. The rest of the shell, the head and tubes are shell modeled. The shell portions are less computer intensive to analyze, but provide less information especially at connections and joints. Here shell elements are only used in areas that will not be studied. 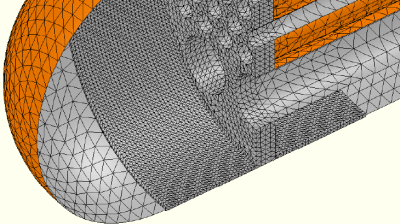 A mesh has been applied to both the solid and shell modelled sections. The mesh is reduced in size at locations of interest such as the tubesheet, the tubesheet to tube junction, and the adjacent shell to get more detailed results. The mesh in other areas does not significantly affect the results and has been left coarser. All thermal and pressure loads are applied to the model. Shown below is the applied pressure load from load case 2 – shell side pressure only. In total seven different cases are run as shown in the report. Close up of the mesh used in the sample study. Load case 2 – shell side pressure only. The sample FEA report walks through all seven load cases and checks all three stresses for each case. Each stress is compared to the ASME allowable stress to determine pass/fail for each load case. The shots below show the tube to tubesheet interaction. The tubesheet dishes under load creating a bending stress in the adjacent shell. Deformation plot with the displacements magnified 100x. Stress plot with the displacements magnified 100x. 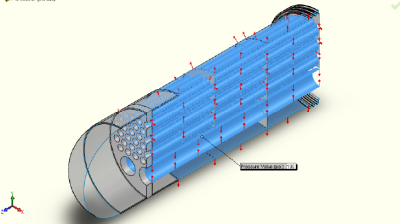 We have successfully used this FEA method to provide reports justifying heat exchanger designs reviewed by Authorized Inspectors and review engineers.FEA can be used to address ASME code rules where calculations cannot be applied. 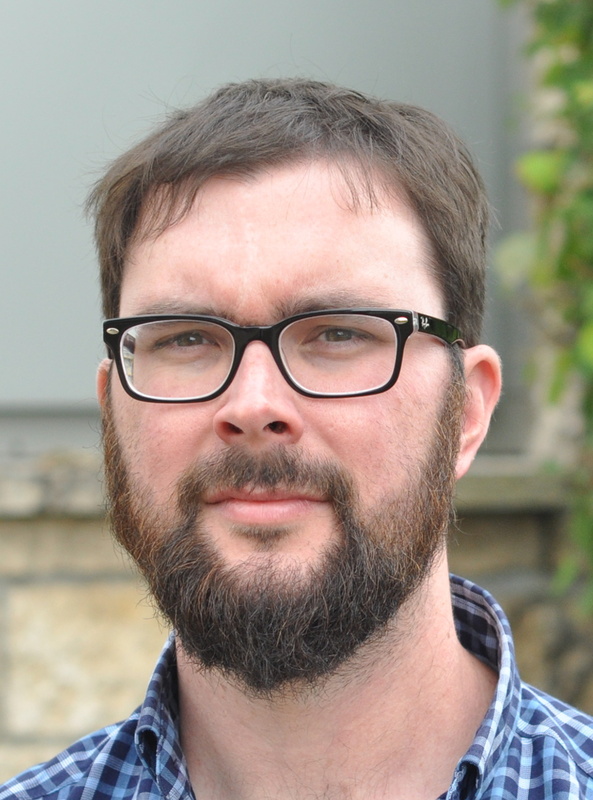 It is an excellent, and in some cases the only option to validate a design. It can be cost effective, reduce lead time and expedite registration. This report was first written in 2009. The combined shell and solid model was created to reduce the computing time especially important with the required seven runs. With the increasing speed of modern computers we usually do not simplify geometry to shells. The increased modelling effort is no longer justified in saved run times. We have also developed methods of replacing the tubes with springs.